Lake Tahoe home sales are on the rise as we come into spring and the average time these listings are on the market is significantly lower. Even though inventory is at an extreme low, we are still going through our winter buyer’s market with some great home sales, which means we have seen some remarkable winter prices and buyer’s placing plenty of offers. Negotiation is a subtle art in real estate, but skilled negotiators can usually find some common ground that satisfies all parties. On the other hand, using the wrong negotiation tactics can sink a deal pretty quickly. Here are some negotiation tactics buyer’s (and real estate professionals) should avoid in order to put your best foot forward and complete the deal. Don’t lowball offers. Going far below market value when you make an offer damages your credibility as a buyer and can also be insulting to the seller. The seller has a range in mind that they’ll accept, and if you’re not even approaching the low end of that range, they most likely won’t even consider the offer. Incremental negotiations are wasting time. Do not continue to go back to the seller with small increases in your offer ($1,000 or less). The constant back-and-forth can grow stale and lead the seller to consider other opportunities with more deceive buyers. Try not to draw a line in the sand with your initial offer. With a “Take it or leave it” attitude a seller can become defensive and reluctant to work with you if you immediately show that you’re unwilling to budge. Nitpicking after an inspection can be a hassle for you and the seller. The last thing a seller wants to go through is protracted home inspection negotiations. The purpose of a home inspection is to find major defects that would cause a buyer not to want to move forward with the transaction or at the very least have these items repaired, but insisting on a lower price for every minor repair can put everything in a stalemate. Obviously if there are major issues revealed, it should be factored into the final sales price. Most sellers are smart enough to realize if they have been through this before that a home inspection is not the buyers opportunity to change the agreed upon contract terms. Negotiating repairs after a home inspection should be kept to what is vital. Some buyers will request that the sellers throw in add-ons like furniture or appliances that weren’t included in the listing. Try to avoid giving the seller a reason to build up resentment and think that you’re being greedy. Remember that buying and selling a house is all about being reasonable. You don’t want to offend your Tahoe home seller but you also want to purchase your Lake Tahoe dream home from an honest person and with a reputable agent by your side. 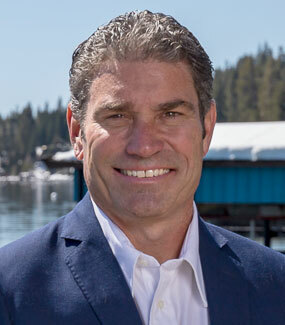 If you are interested in buying or selling a Lake Tahoe property please give Kelly Smith a call at (530) 546-8224 or email kel@ltol.com to find out why Tahoe North Realtors is the best team suited to help you.